Discusses web design, web development, and sites on the Internet. If IE6 (that ancient browser all web developers hate) works, I’m pretty damn sure Chrome 21 will! Penn’s web apps, like certain features in Penn InTouch, give an “invalid browser” message when using Chrome. It’s time they fixed this. Stop forcing me to launch Firefox! Dear Netflix (you dirty freeloader): Please pay us €3 for every gigabyte of traffic you send to our wireless networks (and €0.05 per GB to our wired networks). Sincerely, Europe’s largest ISPs. Just like “unlimited” really means subject to limits, the marketing guys at Rogers seem to communicate that “any” doesn’t mean any. Yesterday, I got an ad in the mail from them for their digital cable service, offering a free HD receiver. On the reverse side of the ad, it says that I can sign up for “any tier” of their high speed Internet or phone service to get an HD personal video recorder for free. Sign up for any tier ... get an HD PVR for free. Apparently, the fine print specifies that “any tier” really means “Rogers Hi-Speed Internet Lite and above”, which excludes the Ultra-Lite tier valued at $27.99/month. I don’t think I’m the only one who would find this a little bit misleading. While it doesn’t really look good on paper to say “sign up for Lite or above” in the big bullet, it would be a lot more honest than defining “any tier” as “not any tier but this one and above”. And while I would certainly die of broadband withdrawal if I had the Ultra-Lite package, I still think there are people who will probably sign up for the cheapest tier and discover that they do not, in fact, get a free HD PVR. Here’s the entire scan; click on the image to view in full size. Get a free HD PVR! On a semi-related note, Rogers seems to be doing a great job at market segmentation. Instead of providing consumers with economical plans comparable to those in France (20-30Mbps connections, VoIP service, and HDTV with a DVR included for just $45 a month), Rogers Communications has decided to split a service as important as cable Internet into… 1, 2, 3, 4, 5, 6 different plans. This used to be the highest plan back when it was only 5 Mbps. This means $13 extra for 35 GB of transfer. In reality, it just makes consumers jealous of users who can afford $100/month Internet. In addition, I’m rather wary of a company that has the capability to offer faster speeds overall to match the top countries (South Korea has average broadband of 14.6 Mbps, and Japan has an average of 7.9 Mbps), but which suppresses broadband for its corporate gain at the cost of consumer benefit. This is probably one of many reasons why consumers, particularly Canadian iPhone users (albeit not for cable Internet), despise Rogers. It plays like it dominates the market. After all, broadband Internet in Canada is an oligopoly; Bell, Rogers, and Shaw are essentially the only big players in the market (and Shaw isn’t even available here). We don’t have much choice. My personal perspective of Rogers, from a consumer view, is that they don’t deserve most of our business. Over a year ago, I compared two online services designed specifically for PowerPoint slideshows. 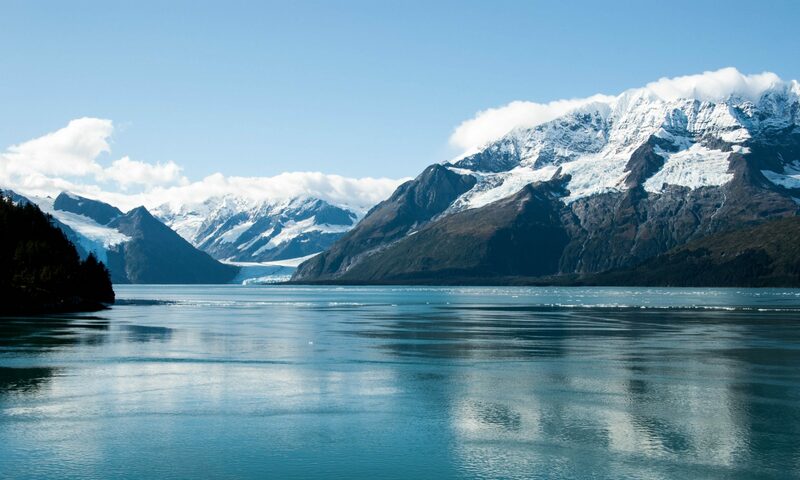 Today, I want to review 4 free online document hosting services that take your document files and convert them to a format that can be embedded and shared on the Internet. In case you’re wondering, these 4 document publishing services are Docstoc, edocr, Issuu and Scribd. Of these, Scribd and Docstoc are likely the best known and the best established. I should give a warning for those on low bandwidth connections: this is a screenshot/media-heavy post. I’ve been receiving these letters every single year a few months before any one of my domains is set to expire. 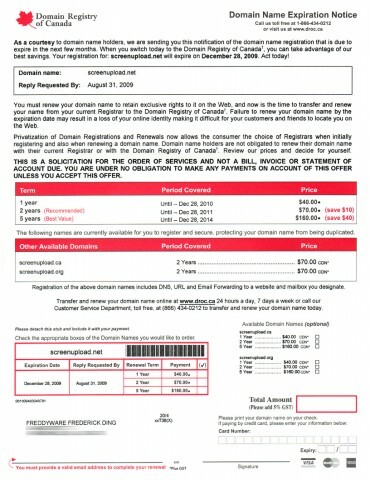 This company is clearly harvesting WHOIS data in violation of their ICANN agreement to send official-looking “expiration notices” to domain owners, many of whom unwittingly send in payment, unaware that the “Domain Registry of Canada” is merely a company attempting the entirely unethical practice of domain slamming. Since 2001, this company has been soliciting domain transfers under the guise of renewing the registration with the existing registrar. Of course, their prices are ridiculously expensive — $40 per year for a domain name — and that’s part of why I didn’t fall for it, since I operate my own domain registrar and I know the value of domain registration services aren’t that high. An early example of the domain letters from 2002 is published online. 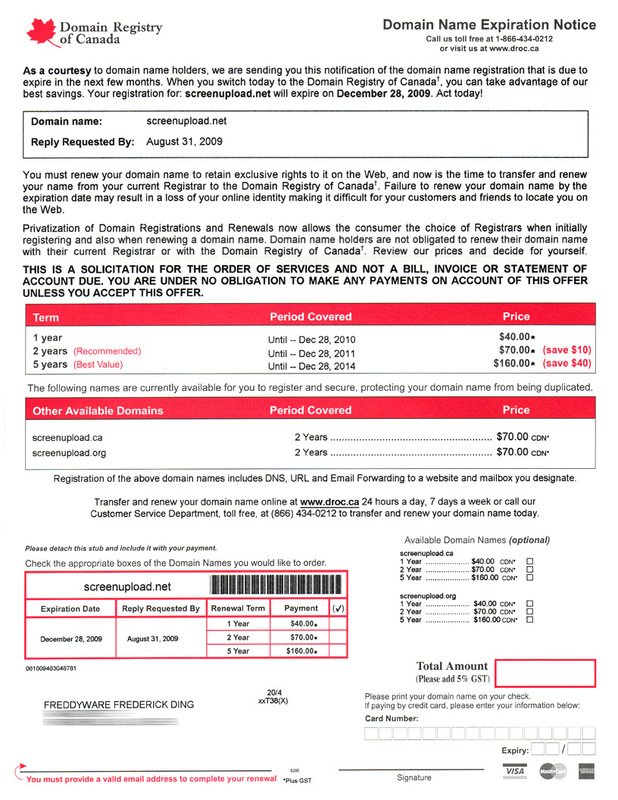 In 2003, the Federal Trade Commission settled with the sister company “Domain Registry of America” to stop their misleading business practices. The way they decided to comply was by adding a little blurb that blended into the text, one that few people seeing an official-looking letter would read. They’ve changed it a bit now, to uppercase and bold text, but the premise of their operations is still the same. The envelope is misleading. Indeed, the colour and layout of the envelope nearly exactly matches that of an official Canadian government letter, except for the return address in the top-left. And there they’ve neatly placed a maple leaf, knowing that it is associated with the country, and by extension, the government. Even the NAME is misleading. The letter is sure to make inexperienced domain owners panic. It’s rare for me to be this angry. But it’s a ripoff.